As times passes, people change and what different things that they wanted in the past. In general the want life to be more comfortable with greater benefits. Here at Icontem, we are following up the changes that the world is going through, so we can keep up with different needs. For the last three years we have been rethinking how we can benefit the developers and other kinds of professionals that visit our site. So now it is time to announce what we have in mind to launch in 2019. Below follows some of the initatives that we plan to launch in 2019. 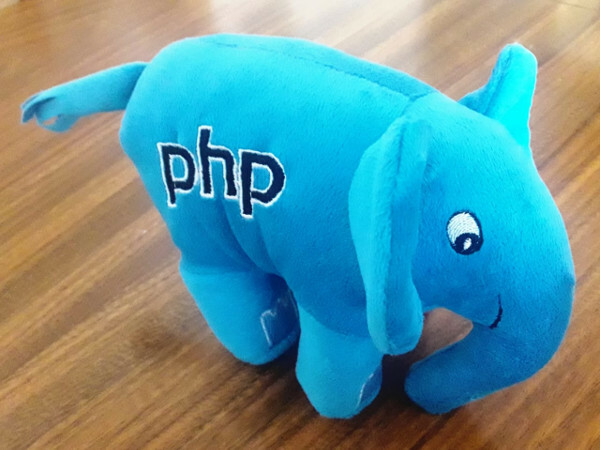 One of the greatest projects we have worked during 2018 is the production of the PHP elePHPant. We have obtained the permission from Vincent Pointier, the creator of the original elePHPant design and we started to work with a local factory to develop a prototype that could be approved by Vincent. The new elePHPant is ready, approved and we are going to start shipping it in January 2019 to many hundreds of PHP developers from around the world that expressed interest to buy it. You can order it already but will publish another article soon with more details about this. If you want to order it now, so you can be the first to get it please contact us now so we can guide to place an order in the PHP Classes site shopping pages. For now take a look at the picture below to see how the new design looks like. It is certainly very beautiful using modern shades of color shades that make it a bit different from the past style. Soon you will also be allowed to order customized versions that can be personalized for instance with logos of your local PHP user group. The PHP Classes site always used gamification methods to make the site more engaging and fun to participate. We have many sorts of rankings, missions, levels, badges, reputation, awards, etc..
One of the things that we want to finally implement is the ability to redeem reputation points and trade them to have more interesting benefits. For instance if you are a PHP developer that has contributed many great classes, you can trade your reputation points for benefits like exposing your work to even more developers that visit your site. We are open and would like to listen from you what could be any benefits that you would like to have as contributor of the site that would motivate you to contribute more and better work. If you have more ideas of such benefits, please contact us now so we can understand what you wish. Since 2015 we are working on a course to help developers to create businesses based on products that they will develop. Initially the idea was to focus on developers that visit the PHP Classes site. Then we decided to make it broader and develop the course for all sorts of people, even non-developers. Since then we have focused mainly in people from Brazil, which is the country that we are currently based on. We have a few success cases of people that we helped and now are selling their own products and services. Our success cases are mainly made of women that believed that we can teach them how to create business in the area of vocation and sell products and services with high profit margin in record time. Now we want to expand to the world but we need to start small. We will start giving classes to the most humble people that have greater needs and are available to learn. Stay tuned in 2019 because you will also have access to what we are working on. It will not be a free service, but it will be affordable to everybody anywhere in the world. Another thing that we are already working on is to make PHP Classes and marketplace to resell products and services for PHP developer. We are already working with a partner that we will announce soon and is helping us to implement a pilot project, so we can resell their products and services. If you are from a company that also sells products and services to PHP Developers, please contact us so we can tell you how to join your products to a greater community without a great effort. We have many ideas in mind but we cannot put them in practice all at once. At them same time we do not have the monopoly of the best ideas. Therefore we would like to listen from you if you have other great ideas that could benefit many PHP developers. In that case please contact us too to tell what you have in mind, so you can make part of the decisions to make the PHP Classes site a better site in the world for all of us. If we do not talk anytime soon, have a merry X-mas and a Happy New Year of 2019.